As a busy mom of four, getting ready for Christmas can equate to a lot of added stress – especially when you’re planning Christmas on a budget! There’s the shopping, the meals, family gatherings, the school parties, school plays….and the Christmas checklist goes on and on. For whatever reason, using a Christmas budget tool to be more intentional with our holiday shopping never entered my mind until recently. I use a budget for everything else, so why not Christmas? Like most people, I’m guessing, I feel like I never start the process early enough and I’m always writing and re-writing lists in the weeks leading up to Christmas, trying to make it a “perfect” event for my kids. To be honest, we’ve scaled back on Christmas gifts quite a bit over the last few years and while that’s helped to lessen the pressure and expectations, even a “small” Christmas requires planning! For me, Christmas isn’t about the stuff. Yes, it’s a part of the tradition, but gifts have become less and less of a focus for our family in recent years, and I’m pretty happy about that. Now, food on the other hand…maybe I look forward to that a little too much! With that said, Christmas shopping and holiday planning is still something that must be done, even if it’s on a smaller scale. One of the biggest keys to spending less time worrying about the expenses that go along with this season is to have a solid plan of action. Deciding ahead of time how you’re going to spend your money is the key to any realistic budget. The last thing you want to do is get caught up in the Black Friday frenzy, buy a bunch of stuff you don’t really need, and end up spending way more than you planned! That’s not a very “merry” feeling at all! Getting organized for Christmas is a gift to yourself, really. 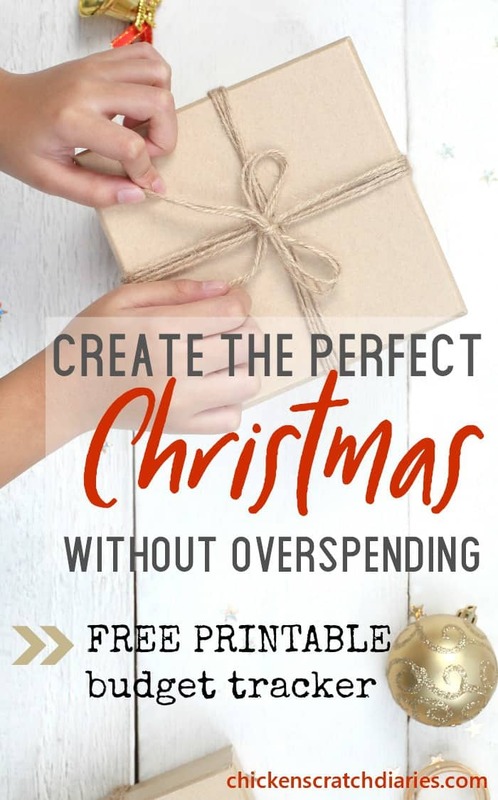 I put our Christmas spending plan into a printable worksheet that you can also use for your family. It gives you room to jot down all the gifts you’ve carefully chosen for everyone on your list plus a place to set a budget for each category and track your spending. I’ve included room for everything from food to stocking stuffers so that you’ll truly have everything covered this Christmas. I think you’ll find this worksheet to be a great way to organize your stress-free holiday! If you haven’t started planning your Christmas shopping already, you’re in luck! And even if you’ve already begun, I hope you’ll be able to stay on track and on budget with this handy tool! 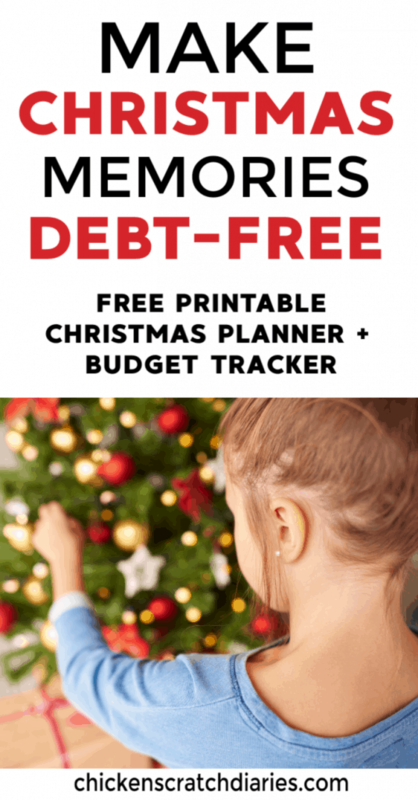 I’m offering this FREE Christmas Spending Plan & Budget Tracker as a gift to email subscribers. See below! By subscribing to my email list, you’ll also receive exclusive deals and updates that I save just for my email pals. 🙂 Please note that you can opt-out of future mailings at any time. 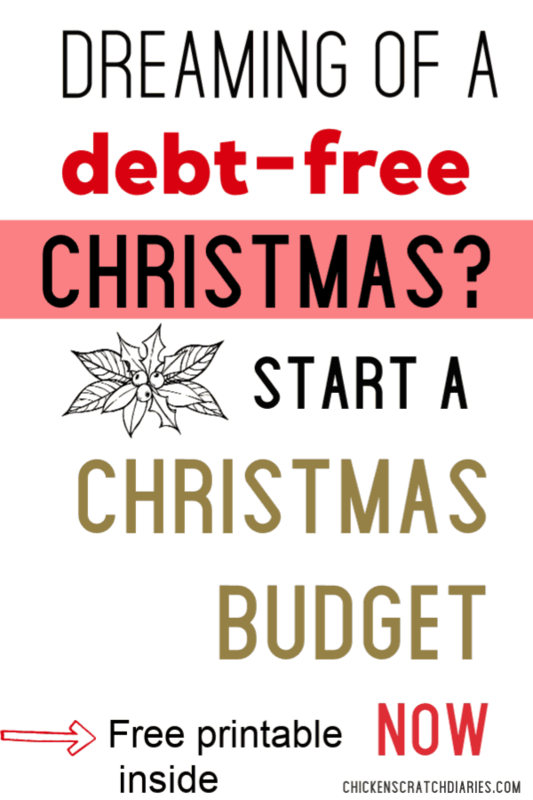 Now that you know HOW to make a Christmas budget, you can start your shopping guilt-free. I can guarantee you will enjoy the holidays even more when you have a plan and stick to it! Leave me a note below and let me know your best tips for having a stress-free, organized Christmas! I didn’t believe in the organization like this in the past. And now I have two energetic boys at home 😀 Days looks completely different, there are more things to do and now lists and schedules are a must! Thanks for preparing the printable. I think I’ve always been a compulsive organizer 🙂 But nowadays it’s more important than ever, I agree! Thanks Ula! Even though the children have all grown up and left home, we still don’t feel right not buying them something they want. With grandchildren in tow, we have even more to buy. However, here is how we have kept the same budget for several years: 1) Shop early. Don’t wait for those ‘black friday’ specials. They are more geared to buy for yourself than others. 2) Shop online when possible. I get much better deals and they will ship it for me, saving me tons of money! 3) REMEMBER: Adult children do not need us to buy something huge and expensive. They have little wants and desires and that fits our budget better. You can’t compete buy because everyone loses there. Focusing on the values of Christmas and buying/making something from the heart is much nicer to hang on to than other super expensive things that need upgrading next year anyways. 4) Homemade quality gifts are always a good option. They usually cost more than an average small gift, but, for your children or parent to know that you spent hours on this for them and the quality in the project far surpasses store bought/Chinese made toys and items. It is a good thing! Nancy you are a gal after my own frugal heart 🙂 I LOVE these tips and I follow about all of them myself! I usually have all my shopping done by October and the prices are definitely better before Black Friday, especially if you stash stuff away throughout the year. I try to buy at least a few things each year on Christmas clearance in January- like Kohl’s 70% off sale for example, where I can buy pj’s for the kids for as little as $3 at times. Homemade gifts are by far my favorite! I struggle with finding time to make things right now with 4 little ones though so I know that whatever I buy I have to really plan ahead and stick to my budget. And I also buy EVERYTHING online because: I don’t have time to shop in stores; it stresses me out because I always have kids with me; crowds in general make me want to flee; prices are better online plus I can use coupon codes. We are on the same page for sure! I actually created this printable after talking to a friend that was stressing over all the gifts she had to buy because she felt like she had to – and we were discussing how to budget for each person and figure out what was truly important and what she could really afford for her family. I hope it’s helpful for those who maybe are new to budgeting or need a really clear plan for spending- BEFORE Black Friday gets here! Thanks so much for stopping by Nancy! What a great idea. 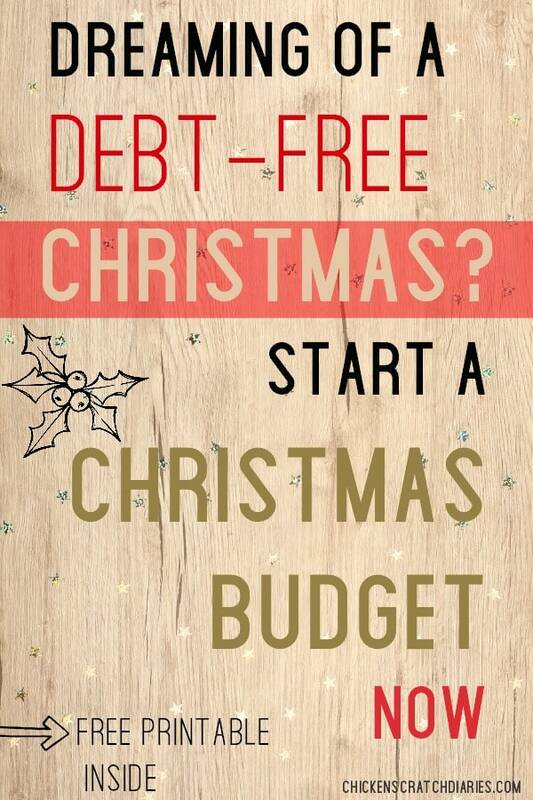 I hadn’t really thought of having a Christmas budget, but I think it would be really good for me to start doing that. 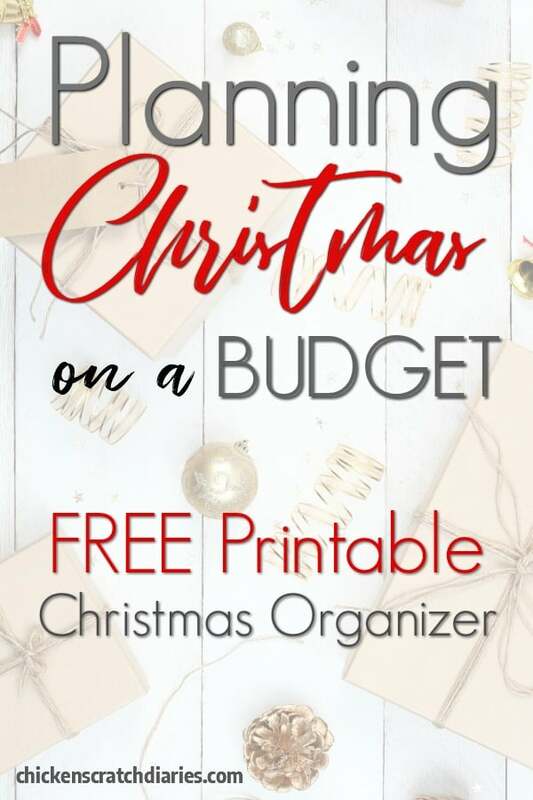 I’m guilty of overspending at Christmas, but a planner like this looks like it would be really helpful. Thanks for sharing! I hope it is helpful Steph, I know it will help to keep me on track as well! Christmas budgets don’t have to be big, either! When my siblings and I were little & living at home, my parents had a set budget of $50 per kid. May not seem like a lot for some, but I don’t ever remember having a bad Christmas. I agree Abby! We don’t spend much more than that even now. (Gah, inflation!). lol.